USA Rehab can help you find your lift chair in Maryland. But first, lets distinguish the difference between a Lift Chair and Chair Lift. Easy to confuse but an important distinction. 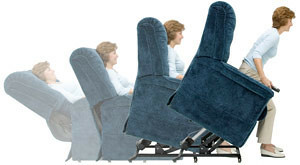 Lift chairs are upholstered recliner chairs powered by electricity. At the push of a button elevate your legs, recline, lift the chair to stand. A chair lift is a mechanical chair that rides up and down stairs. 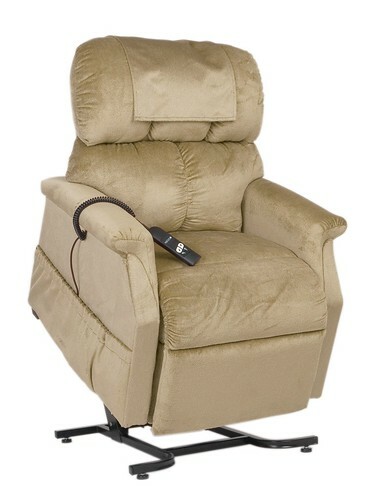 Other commonly heard terms are recliner lift chair, Lazy Boy lift chair, lift seat, power lift chair. As an Occupational Therapist who frequents homes, the lift chair is a favorite piece of recommended equipment because it provides comfort, safety, and independence. Medically, lift chairs assist any individual who has difficulty standing, but once standing can walk. If you have bad knees, bad hips, a bad back this product can help you. Many people use these chairs exclusively after hip or knee surgery, even sleeping in these chairs because getting in and out of bed is too painful. The use of Lift chair in Maryland is not limited to arthritis, many clients with Multiple Sclerosis, Lupus, stroke, PVD, peripheral neuropathy, diabetes find practical uses. A) Height and Weight: These chairs are sized differently to offer comfort and best fit. If your 5’2″ sitting in a size large lift chair your back won’t come close to touching the backrest. Pride mobility’s website has an option called “Find my Pride Lift Chair” where you fill in your height and weight and then are only shown those models that will fit. B) How far you want to recline? Lift chair in Maryland prices are determined by how far the lift chair can recline. 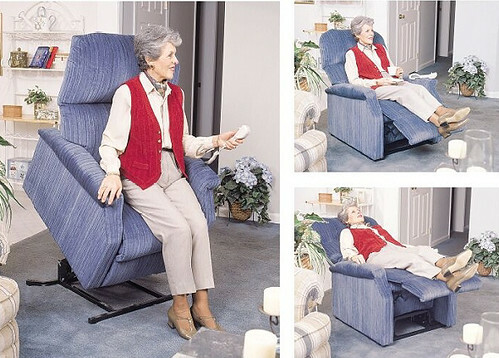 Infinite reclining lift chair – Infinitely recline and elevate your feet independently. 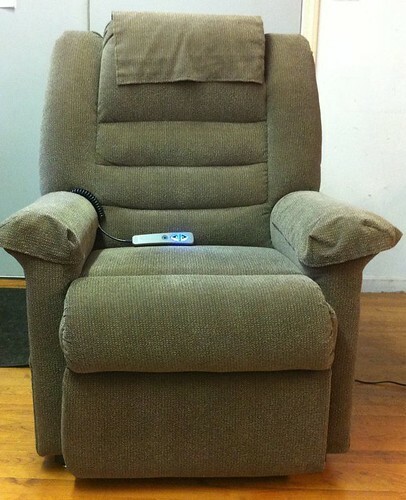 Ideal for the person who wants to sit up right but still have their feet elevated. C) Color/Fabric Preference: Standard or upgraded, you choose your fabric and chair designs such as button back or pillow back, bolster arm. Crypton is a upgraded moisture barrier fabric selection that is warranted for five years to remain spill, moisture, bacteria, and odor-free. USA Rehab will deliver your lift chair in Maryland, assist with Medicare billing for reimbursement, and disposal of your old lift chair.